The train to the future makes 1000 years of history like a bygone yesterday. Along the way, you will see scenes of China over the centuries and changes in Hong Kong over the past 100 years; you will meet trendy, self-confident women, dynamic revolutionaries, and ambitious, liberal-minded literati; and enjoy traditional performances, dedicate craftsmanship and touching stories. Our past continues to thrive. A gateway to the past has been opened by 18 contemporary artists, who bring our history alive. 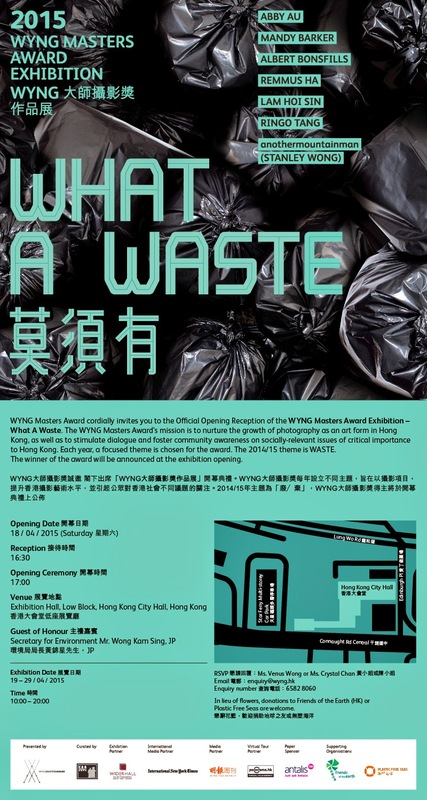 WYNG Masters Award cordially invites you to the Official Opening of the WYNG Masters Award Exhibition – What A Waste. The WYNG Masters Award's mission is to nurture the growth of photography as an art form in Hong Kong, as well as to stimulate dialogue and foster community awareness on socially-relevant issues of critical importance to Hong Kong. Each year, a focused theme is chosen for the award. The 2014/15 theme is WASTE. The winner of the award will be announced at the exhibition opening.